FAKRO roof windows add to the eco credentials of the lodges, as they use sheep's wool for insulation within the frame. Frisby Lakes Lodge Park is an award-winning East Midlands site with a plan to develop 59 luxurious Finnish Log lodges made from 100% renewable material. Situated in the beautiful Leicestershire countryside with lodges overlooking a large fishing lake, this stunning park has a lot to offer for those wishing to move to an upcoming, safe-haven location for the over 45’s including beautiful electric operated FAKRO roof windows. These timber built Finnish Log lodges use materials sourced from managed forests which are crucial to sustainability, and are FSC compliant. 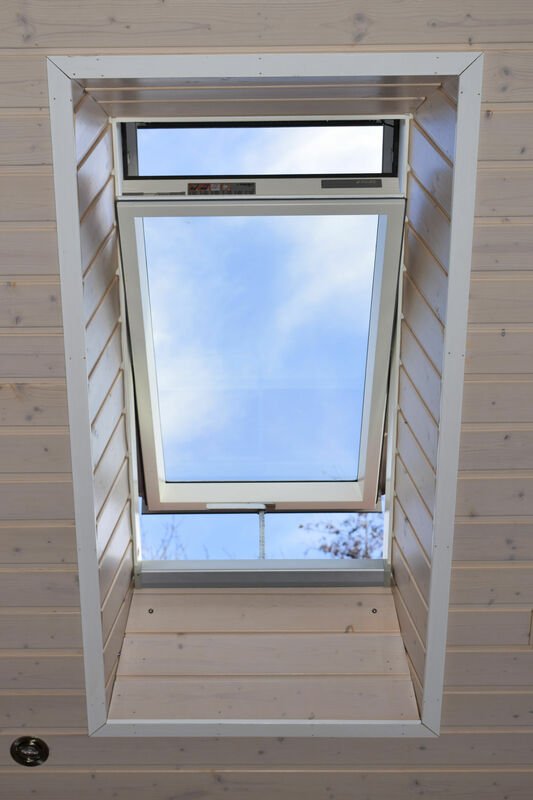 FAKRO roof windows help create a perfectly ecological home while keeping expenses to a minimum. "A great product, we realised we needed blinds on the window as they let more light in than expected." This has resulted in a positive increase of wildlife numbers in the area. With the ever growing nature reserve in Frisby Lakes, a Kingfisher point is currently being developed enabling the residents to admire an array of birds flying over head. Installed into the luxury lodges are FAKRO’s FTW-V P2 Z-Wave roof windows with ARF Blackout Z-Wave blinds that are controlled remotely. At the flick of a switch residents are able to specify the air flow through the room as well as automating the operation of the blinds, giving them the best of both worlds in one window system! 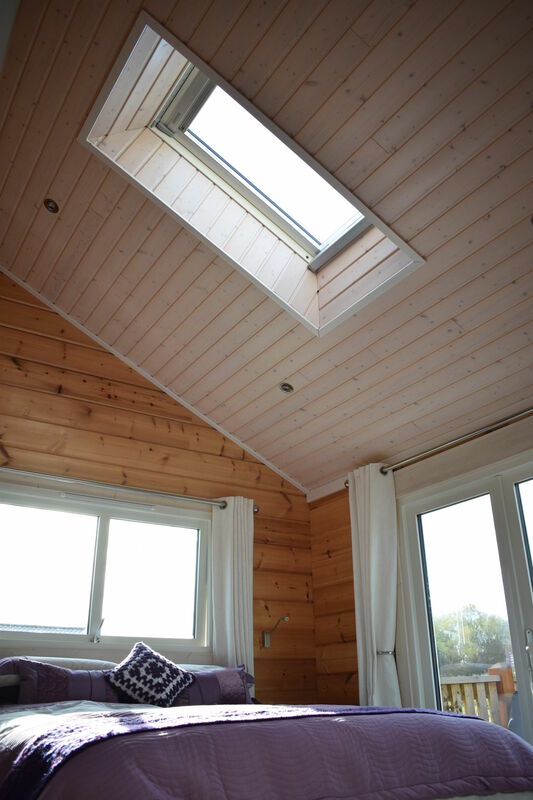 Prospective residents can choose the exact positions of their beautiful FAKRO Z-Wave roof windows, in planning stage well before building has begun, allowing them to decide if they’d like to be woken with the sun from the east or watch it set again in the west (or both!). "The customer service from FAKRO is far better than competitors..."
Obviously, natural light has a proven benefit to healthy living, and both physical and mental well-being. 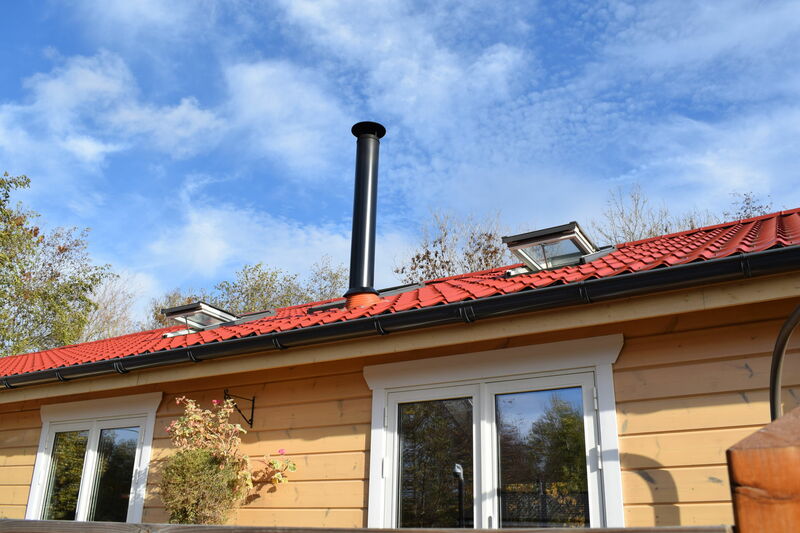 When looking for the perfect way to allow this in their lodges, Frisby Lakes looked at many roof windows on the market, settling on FAKRO because of the benefits of their systems and for the excellent customer service they expect from a trusted supplier. 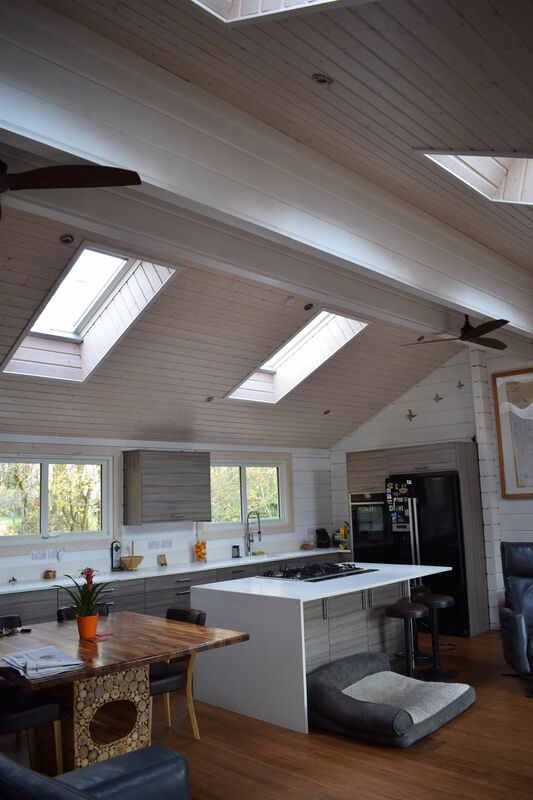 In resident and site owner Rob Sheridan’s lodge pictured above, a large number of 55cm x 118cm windows were cleverly positioned to make the most of his and his wife Sharon’s remarkable open plan kitchen / diner area. By doing this they’re sure to enjoy living within the natural surroundings, wildlife and sunny skies they adore. 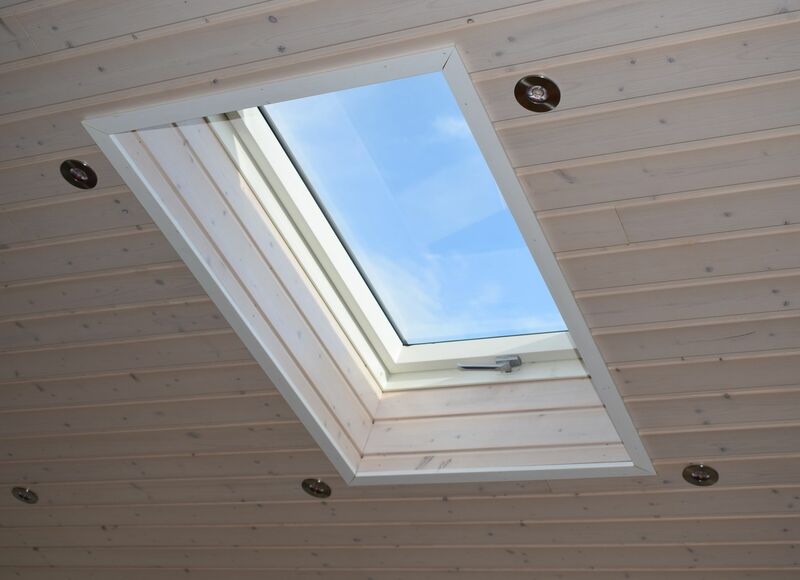 More information on FAKRO roof windows and their commitment to excellence in customer service can be found at fakro.co.uk.